Re: Oregon Coast Temperate Setups. Just curious, should I kill my skimmer while my tank is cycling? Yeah I definately need more rock, I dont even have enough right now to cover the bottom. I have a wedding to go to on saturday the 31st that is a couple hours south of where I am. I should have sunday free to go get some more rock at a different location on the coast. Yep, kill the skimmer. It skims everything your bacteria need! Over on Nano-Reef the idea of using a Remote Deep Sand Bed to remove Nitrates came up. What do you all think about this idea? "Even with a powerful skimmer, nitrates build rapidly in these heavily fed systems. Water changes are a must. I perform a 50% water change monthly…..but, I also employ a sulfur denitrator to help keep nitrate levels from exceeding the 25ppm level." 1) Quickly remove uneaten food before it can break down by replacing filter pads every 2 or 3 days (every 1 or 2 days would probably be better) and by running an over-sized skimmer. 2) Use a Remote Deep Sand Bed (RDSB) to promote the growth of anaerobic bacteria which will consume nitrates and convert them to harmless nitrogen gas. My deep sand bed (5") is in my display (not remote) which I don't recommend, especially if you have digging animals (like my bimac octopus). It took about 8 months for the anaerobic bacteria to colonize my DSB because of the cold water, but then I saw a dramatic drop in nitrates. I did 40% water changes every week at first, and my nitrates were still high (25 - 50 ppm). Now that the DSB is mature, I do 25% water changes every two (or three) weeks, and my nitrates are seldom above 10 ppm. I strongly recommend that you find a place for a RDSB, and let it start cycling with your tank. A RDSB is just a 5 gallon bucket 80% filled with play sand from home depot, with water running over the top of the sand at about 100 GPH (just fast enough to keep detritus from settling on the sand). In your case I would use two buckets, and insulate them. The surface area of a 5 gallon bucket is about 100 sq in, and sand depth would be about 11", so any sturdy container with a surface area of about 200 sq in that is over 14" tall would be equivalent to two buckets (like a 15 gallon high or 15 gallon show aquarium). The reef guys have had good results with a single bucket on 150 gallon tank, so I figure 2 buckets should be about right for a 100 gallon temperate tank that gets fed so much more. If not it is fine. I am just trying to get soem ideas going for a diy chiller. I actually meant to do that last time and only remembered to bring my hydrometer. Great ! thanks a lot! I think the concept of the RDSP makes sense and could even help with nitrates, but there are definitely other ways of avoiding nitrates. I believe in Jon Olavs aquarium he did not have a DSP, but in his sump he might have. Pufferfreak wrote: I think the concept of the RDSP makes sense and could even help with nitrates, but there are definitely other ways of avoiding nitrates. I believe in Jon Olavs aquarium he did not have a DSP, but in his sump he might have. I think I going to have tidal marco algaes in the smaller tank with the smaller fish and use it as a type of refugium. Hopefully that will pull more nitrates then a RDSB would. Only trial and error will tell I guess, but at least I will be set up to go either way if I use the cooler as a sump for both tanks. That would help. One sump for two tanks is definitely cheaper too . Hooray for hand me downs I met up with Jamie yesterday and he hook me up with the remaining inhabitants of his temperate tank. 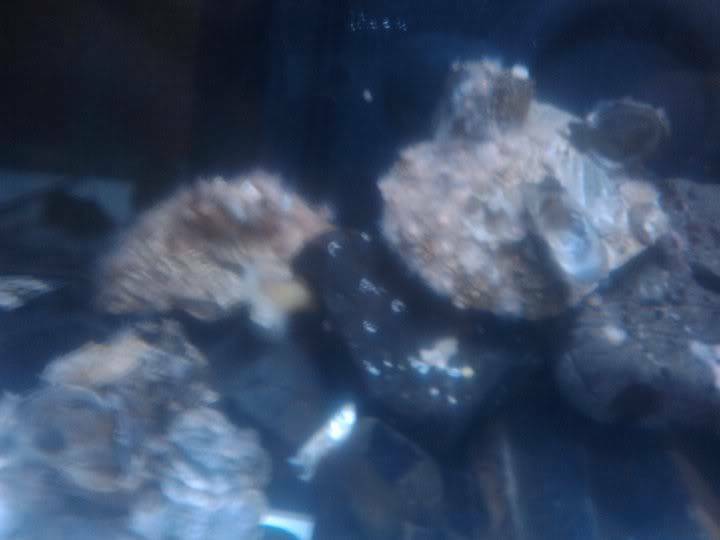 Got 3 nice colonies of strawberry anemones, some Snails, chitons, a metridium anemone, a couple beadlet anemones, and about 6-7 nice size rocks. I still need to collect a suitable substrate, which may happen this weekend......we shall see what the wife allows me to do, lol. Make sure your tank is as nice as his was if not better! Definitely get on collecting a substrate! Where you the one planning on a rock substrate? 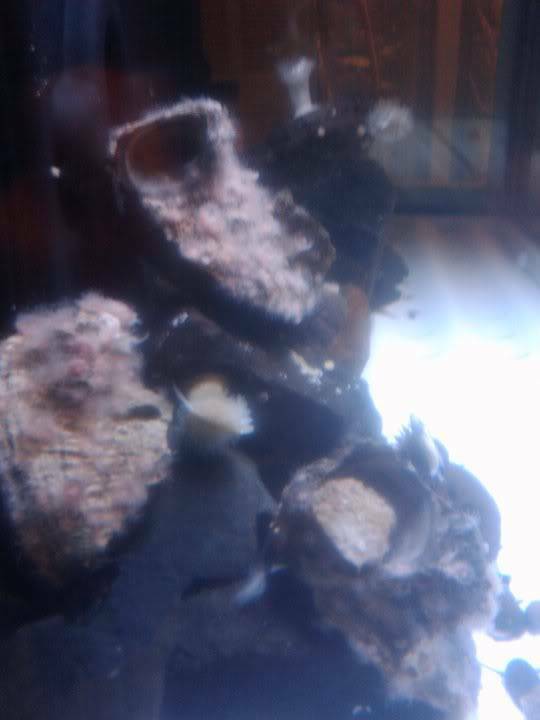 Yeah its all going to have to be 1/2 inch and larger substrate, going to look alot like a rock jetty I think. I've also come to the conclusion that I have been worrying to much about trying to link my two tanks together and that I should just concentrate on getting the large one up and running stable. Once the big tank is pretty much complete I'll start working again on the smaller cube tank and the sump project. 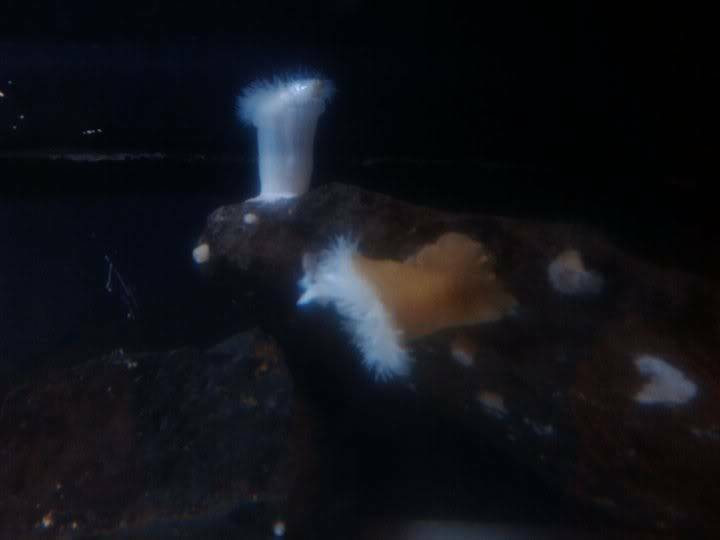 I've been talking to my buddy Ken about using ozone on the second tank the way that Jon Olav did on his macro tank to help with the problem algae. Also figuring out the lighting for the second tank is still up in the air. I was just thinking it might be a good idea to put some form of marine mud or sand below the rocks seeing as how that is similar to the natural substrate. It might be worth the while to get them hooked up together. It could save on future sump expenses. I would put mud or sand in the with the substrate, but it has a false bottom in the tank that has a return underneath everything to let water flow past the chiller coil. So any substrate I put in the big tank would settel down below the visable tank bottom. 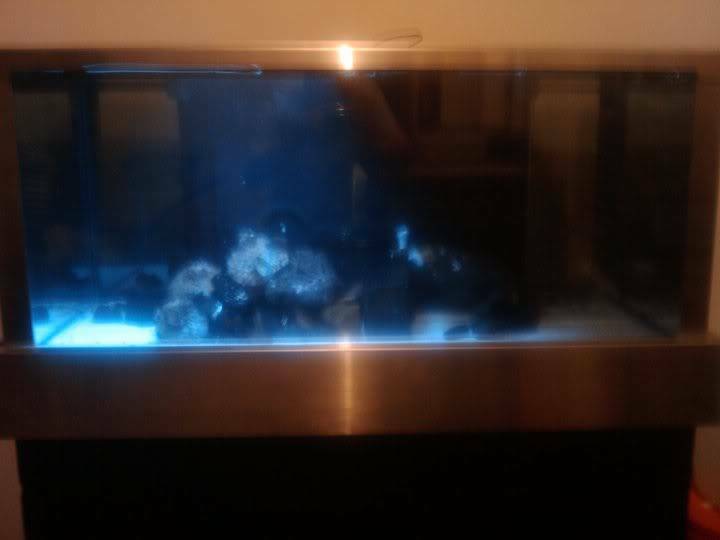 I have the sump setup to be able to link them eventually, but for now I'm going to concentrate on the big tank. Tank is doing well, no losses as of yet. Hoping to make it to the coast this holiday weekend and collect some rocks for substrate. Just got my test piece in for lighting yesterday and its going to work perfect. Just gotta order more of them now and lay out my configuration. Should be under $80 to light the whole tank with waterproof LEDs Granted they are not Crees or super high out put, but they will put out plenty of visable light for what I'm using them for. Hopefully you'll manage to collect some nice stuff. Perfect! I'm excited to see your tank lol. Quick photo update, crappy phone pics but I thought I would take a few to see how my test setup of LEDs looks. Not bad for a $3 double stick waterproof led setup from ebay I'm sure it'll look much better when I have 6 of these linked up on the tank instead of one. That's actually quite nice looking! It should look a heck of a lot better after next weekend. I managed to get sunday and monday off, so my brother and I are going to go to the coast and do some collecting along the jetty. Mostly substrate, but that'll make a huge difference. Still waiting to hear back from the guy on ebay about combined shipping for multiple strips of the led lighting.